Malaysia proposes 10 years’ jail for ‘fake news’?. Punishments for those breaking the laws include a 10-year jail sentence and large fines. Some people have called the proposed laws an attempt to severely limit criticism of the government before the general election. Prime Minister Najib Razak is currently facing questions about billions of dollars missing from a state investment fund. Human rights activists are concerned the new laws could be used to make reports on government wrongdoing and critical opinions illegal. The general election is required to be held by August. But observers expect it to be held in the next few weeks. 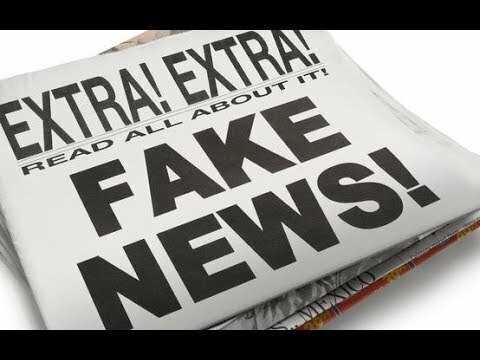 The anti-fake news bills call for punishing those who create, offer, spread, print or publish false news or publications containing false news. Those found guilty could face a 10-year prison sentence, a fine of more than $128,000 or both. The law, as it is written, extends to foreigners outside Malaysia as long as Malaysia or its citizens are affected. Government officials have said the law is needed to protect the public harmony and national security. They have accused the opposition coalition of using fake news as a weapon to win votes. The officials also warned that any news about the Malaysia Development Berhad, or 1MDB, state fund that is not approved by the government is false. The government fund plans long-term investments for the country. The United States and several other countries are investigating claims of corruption and illegal money exchanges at 1MDB. Prime Minister Najib created the fund to support economic development. It has gathered billions of dollars in debt instead. The U.S. Justice Department says people connected to Najib stole at least $4.5 billion from 1MDB. The department is working to seize $1.7 billion taken from the fund to buy assets in the United States. The move could be the largest U.S. asset seizure. Najib denies any wrongdoing. He has dismissed critics in his government and restricted the media since news of the corruption appeared three years ago. Support for Najib’s ruling coalition has greatly decreased in the last two elections. It lost the popular vote for the first time to the opposition in 2013. Experts expect Najib to win a third term. This is because of disagreements within the opposition, changes to voting areas and strong support for the government among rural ethnic Malays. Critics said the anti-false news bill will add to a list of restrictive laws. This includes a sedition law, a press and publications act, and an official secrets act and a security act. All of these laws have been used to violate freedom of expression and damage media freedom, critics add. A coalition of human rights and other organizations have expressed concern that the government was pushing the legislation through too quickly. They say the government did not ask for public opinion or release details about the law ahead of time for public examination.